The final page for Issue 1. 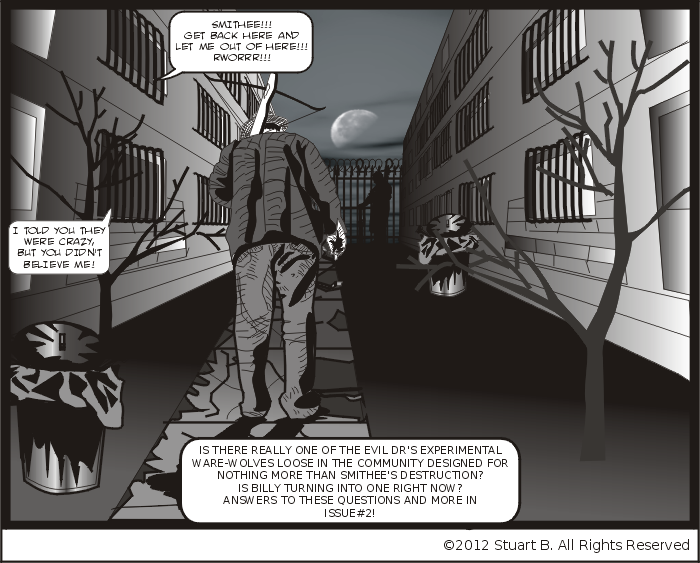 Smithee heads out into the moonlit night to hunt down the dangerous ware-wolf and terminate his program! Smithee has been pursued by the evil Dr.’s zombies often enough that if he can do a pre-emptive strike, it will save him a lot of trouble. Not to mention his burning curiosity to find the truth of what really did or didn’t happen to Billy. He know Billy isn’t telling the whole story.